TY students from St Joseph's Secondary School in Castlebar will be holding a bake sale in Rua, Spencer Street, Castlebar this Sunday October 14. The home economics department and talented transition year bakers from St Joseph's Secondary School, Castlebar, will once again be hosting their annual cake sale fundraiser in conjunction with Rua on Sunday October 14 next from 12pm. The sale will take place in the delicatessen of Rua, on Spencer Street in Castlebar. The students are most grateful to Aran and Colleen McMahon of Rua for affording them this unique opportunity to appreciate first hand the hard work involved in the production and sale of high quality artisan baked goods. 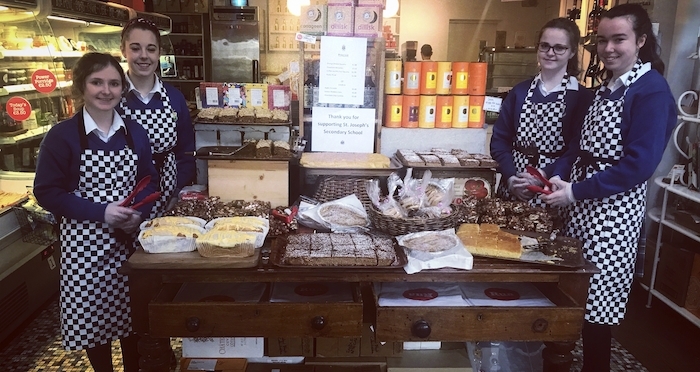 There will be an array of delicious mouthwatering bakes available to buy on the day and the Café upstairs in Rua will be open from 12pm to 5pm also. 2018 is a very special year for both establishments as St Joseph's celebrates the centenary opening of the Secondary School in Castlebar while Rua celebrates 10 years of business on Spencer Street. Page generated in 0.1427 seconds.